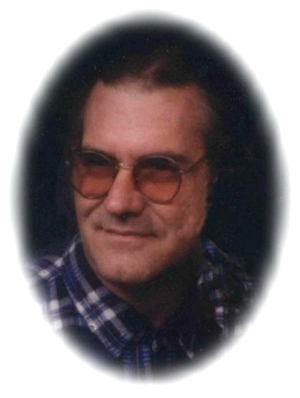 Obituary – Frick, Billy Lynn « Perry High School Alumni Association, Inc.
Billy Frick, 57, of Perry, Oklahoma, was the son of Wilburn Lawrence and Vera Lee Campbell Frick. He was born on December 19, 1949 in Fresno, California and died Tuesday, January 2, 2007 at the Perry Memorial Hospital. Billy served his country in the United States Army, serving three tours in Vietnam and also served in Korea. He was an old time gold panner, a certified welder, certified auto mechanic and a certified computer technician. He enjoyed firearms, reloading, hunting, fishing and fast cars. On August 1, 1992, Billy married Faye Bentson in Pawnee, Oklahoma. Funeral services will be 11:00 a.m. Saturday, January 6, 2007 at the Brown-Dugger Funeral Home Chapel. Pastor Wendall Martin will officiate. Interment will be in McGuire Cemetery. Services are under the direction of Brown-Dugger Funeral Home. Memorials may be made to the Oklahoma Lions Service Foundation in care of Brown-Dugger Funeral Home, 1010 N. 7th Street, Perry, Oklahoma 73077. 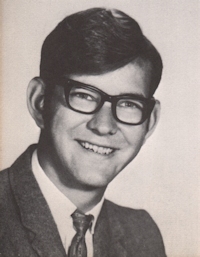 Billy is survived by his wife, Faye Frick of the home; his mother, Vera Frick of Perry, Oklahoma; one son, William Lawrence Frick of Oklahoma City, Oklahoma; one daughter, Cheryl Ann Jenkins of Perry, Oklahoma; three step-children, Joe Alan Bentson, Jr. and Bert Edward Bentson, Sr., both of Tulsa, Oklahoma, Amber Crane of Bartlesville, Oklahoma; five step-grandchildren, Trevor Michael Crane and Tiegan Mitchell Crane, both of Bartlesville, Wyatt Bjorn Bentson, Emberlyn Elise Bentson and Bert Edward Bentson, Jr., all of Tulsa, Oklahoma.